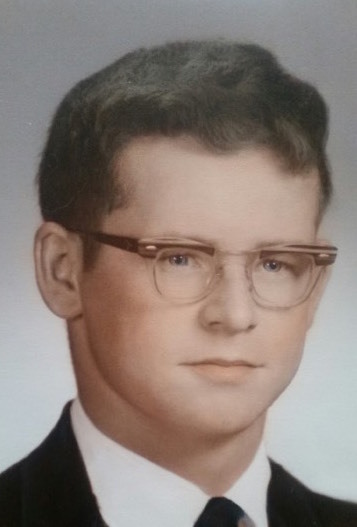 Charles Jerome Mack, 69, of Rutland, died Thursday evening April 11, 2019 at Hospice of Jefferson County, where he had been since January 8, 2019. His funeral service will be 6:30 pm Wednesday April 17 at the Bruce Funeral Home, Black River. Calling hours will precede the funeral beginning at 5:30 pm. Burial with military honors will take place in May in the Rutland Maple Hill Cemetery. Arrangements are with the Bruce Funeral Home, Black River. Born May 19, 1949 in Watertown, he was the son of Henry W. and Elsie R. (Booth) Mack. He attended Carthage school. Charlie was drafted into the US Army in 1969 serving in Vietnam. Following his honorable discharge in 1970, he was awarded a Purple Heart. He then attended Jefferson Community College where he earned as Associates Degree in Hospitality and Tourism. He married Jeanne Horeth of Watertown on August 26, 1972 in Felts Mills with “Tuck” Thomas officiating. The couple lived for a short while in Watertown and Felts Mills, before moving to their current home in Rutland where they lived the rest of their married life. Surviving besides his wife Jeanne, is a daughter Kelly (Kenny) Rose, Black River; four grandchildren Jeffrey, Cheyenne, Dylan, Emily; two great grandsons Jaxson and Carson; one brother Phillip Mack, Watertown; one brother in law Martin (Dawn) Horeth, and several nieces, nephews and cousins. He is predeceased by his parents, three brothers Joe, Ronnie and Daryl Mack; one sister Robin LaComb; and a sister in law Rose Ann Mack. He enjoyed watching TV, NASCAR and was an avid Dale Earnhardt Jr fan, but especially enjoyed playing video games with this grandchildren. Donations in his memory may be made to Hospice of Jefferson County, 1398 Gotham Street, Watertown, NY 13601 or the SPCA of Jefferson County, 25056 Water St, Watertown, NY 13601. The family would especially like to thank everyone at Hospice for the excellent care and attention given while Charlie was there. Their compassion will always be remembered.